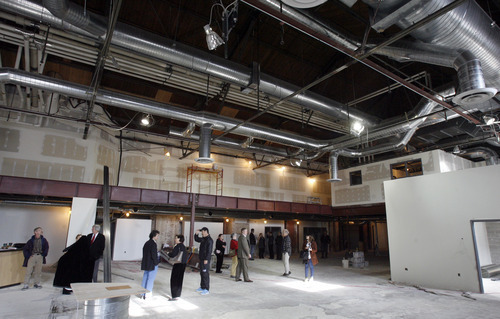 Weller Book Works will open in January at Trolley Square. Francisco Kjolseth | The Salt Lake Tribune Third generation Sam Wellers book store owner, Tony Weller becomes emotional as he talks about his father during the announcement of plans for the new store location inside Trolley Square on Wednesday. Francisco Kjolseth | The Salt Lake Tribune People tour the new Wellers Book Works store taking shape at Trolley Square Wednesday. Sam Weller Books, which was established in 1929, will have its 51st and final Christmas on Main Street this year before opening at their new location on Jan. 6. 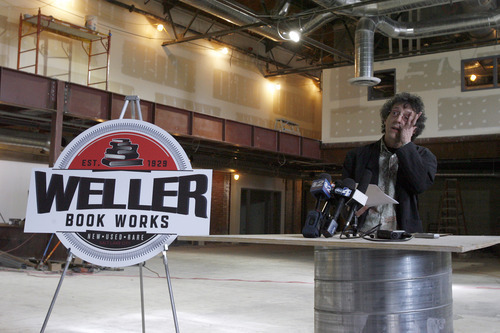 Francisco Kjolseth | The Salt Lake Tribune Tony Weller, owner of Sam Weller Books, announces plans for the new store location inside Trolley Square under the new name of Weller Book Works on Wednesday. 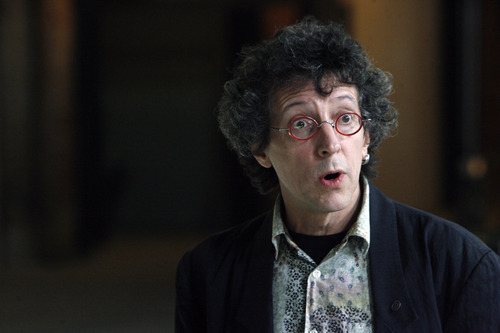 Francisco Kjolseth | The Salt Lake Tribune Tony Weller, owner of Sam Weller Books, announces plans for the new store location inside Trolley Square under the new name of Weller Book Works on Wednesday. Sam Weller's Books, one of Salt Lake City's oldest businesses, is moving into the 21st century. 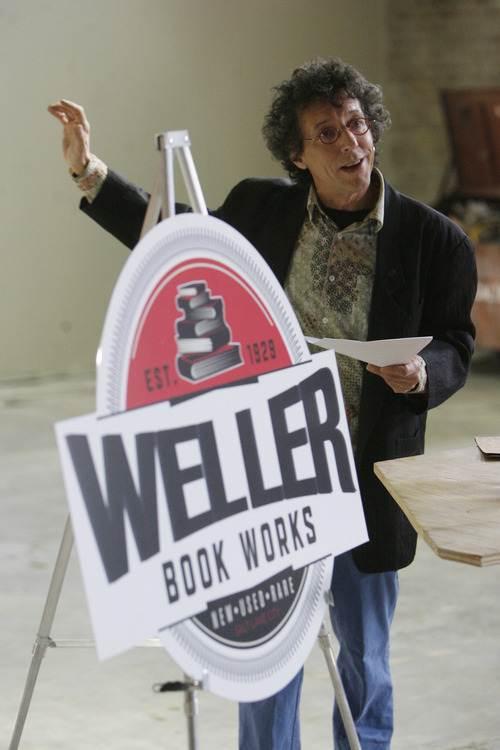 On Wednesday, Tony Weller who along his wife, Catherine, owns the bookstore made famous by his father, Sam, announced a name change, to Weller Book Works. That's just some of the changes the independent bookstore is making as it moves to Trolley Square in Salt Lake City after more than a half century downtown at the venerable David Keith Building on Main Street. The Wellers showed off their new 10,000-square-feet location at 665 E. 600 South, scheduled to open Jan. 6. A grand opening is set for Friday, Jan. 13, "to show we're not suspicious, superstitious people," Weller said, adding that in choosing a new name he included the active verb "Works," which he hopes captures the energy of the new store. Hundreds of thousands of new, used and rare books will be housed in a high-ceiling space on the southern edge of the venerable, recently remade shopping center. The site was formerly occupied by theaters  and before that was a garage for the city's street car fleet. The Wellers engaged Jill Jones of ajc architects and Easton River Construction to design and refurbish the new location. Weller said he and his wife are planning to include a coffee shop and eatery. Weller choked up when he paid tribute to his late father. "He was a powerful man and a dedicated father who had a giant influence in my life," said Weller. "For all our love and respect for the bookstore on Main Street, we felt that this store  designed and built by Catherine, our team and me  wouldn't be, and simply couldn't be called Sam's anymore." The new logo features bold lettering, surrounded by a design that brings to mind the historic trolley car tracks. Atop is the date the three-generation bookstore was founded, in 1929. There have been other names changes since the original Zion Bookstore. There also have been five store locations. Over the past several years, the closing of two malls and the long-running construction project to build a new one, have taken a toll on the Sam Weller's store downtown. The family sold its half of the building at 254 S. Main St. and in March 2009 began looking for more efficient surroundings. All the while, said Weller, Trolley Square mall owners "kept calling." "No property was exactly what we wanted," he said. "But this site came very close." The bookstore is adjacent to a spacious atrium, which can be used for large gatherings when authors speak or for book signings. Unlike the old Main Street store, the ground floor at Trolley Square is spacious and filled with light. The new location is about the same size as the old one, but it is hoped that brick walls from the trolley era will add warmth and a cozy atmosphere. The mezzanine is smaller at Trolley Square, but the second floor will still feature Weller's famous rare and used book selections. Gone will be the old musty basement, cluttered with a maze of bookshelves, narrow passageways and accessed by creaky stairs. What's gained at Trolley Square, said Weller "is retail neighbors and free parking," which had been a problem for downtown customers. "It will be sad to leave," said Catherine Weller. "It was a nice old haunt." The old location, which closes for good at 4 p.m. Christmas Eve, is having one more moving sale. Rare and used books are 25 percent off, with more reductions for volume shopping. Store hours will change with the switch in locations, to more hours of operation and an extra day. Weller Book Works will be 10 a.m-9 p.m., Monday through Saturday, and noon to 5 p.m. on Sunday. In early January, Weller said dozens of customers will be volunteering to help move inventory, and he invited others to contact him if they want to help pack up "our intellectual heritage." Weller Book Works will join Tabula Rasa, Cabin Fever and The Desert Edge Brewery, among others, at Trolley Square. Whole Foods serves as an anchor for the shopping center's $60 million revitalization project, which has added retail space and more parking. Dec. 24 • At 4 p.m. closing location at 254 S. Main St., Salt Lake City.